here i am pretending to know what i am doing. 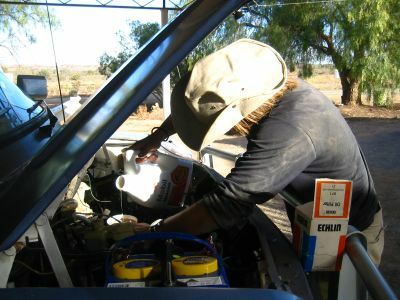 petter was having some trouble on the road and steph caught me trying hopelessly to fix him. 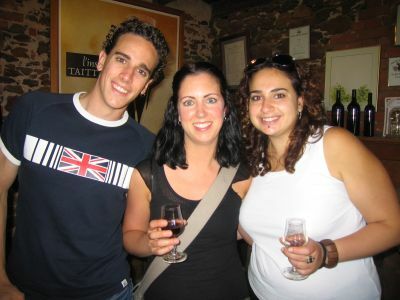 stephanie met luke and alicia in munich at oktoberfest 2004. we met up with them when we arrived in adelaide, australia. 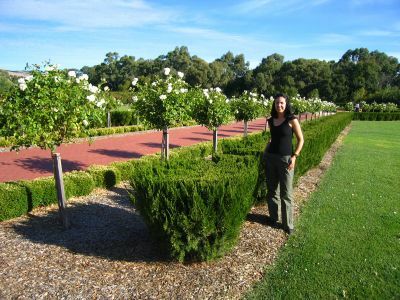 here is luke, steph, and alicia at a vineyard in the barossa valley of south australia. 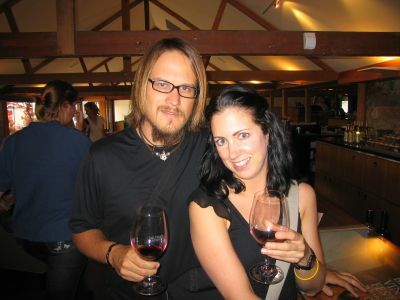 me and steph sampling some red wine at one of the many stops in the barossa valley. 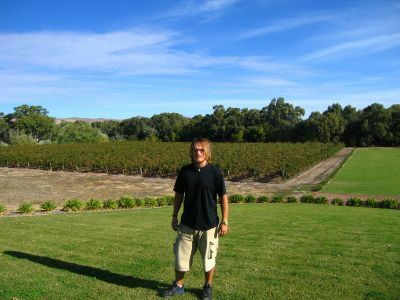 me posing in front of the vines at another vineyard on our tour. some of the vineyards had beautiful yards to hang out in. when we met alicia and luke her entire family turned up to show us around on easter monday. 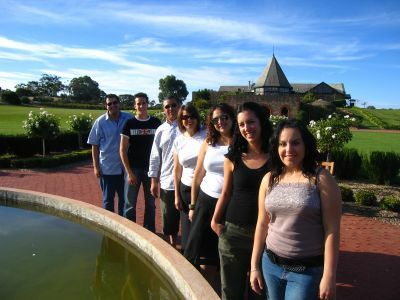 here they all are posing with steph in front of a vineyard. we were invited back to their house for a barbecue, some beers, and vegemite. vegemite is god awful. here steph and i are eating some of the vile substance spread thinly onto toast. the beer we are drinking is cooper's pale ale of south australia which is excellent. we took off from adelaide to continue our trip into the outback. 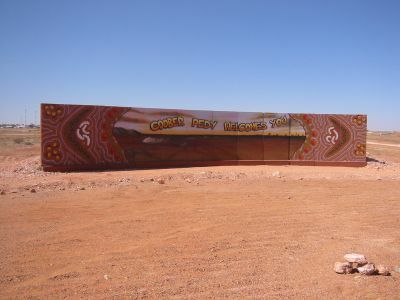 we stopped in coober pedy, an opal mining town where most of the people live underground to escape the blistering heat. 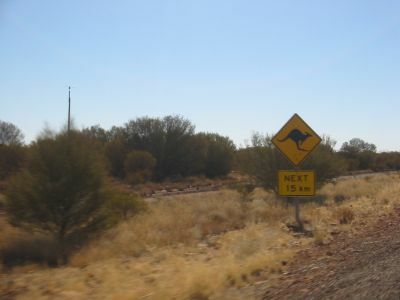 steph took the wheel for a bit and i snapped a photo of one of the ubiquitous kangaroo signs while we passed it at high speed. she almost crashed the car about 15 times.